Music has always been an incredible force, one that soothes, heals, and uplifts. It is a medium in which many messages have been shared over the years. With all the violence and negativity in the world, we could all use some positivity and one place we can find it is in music. If music isn't your thing find positivity in travel, nature, family...look for it it's there. 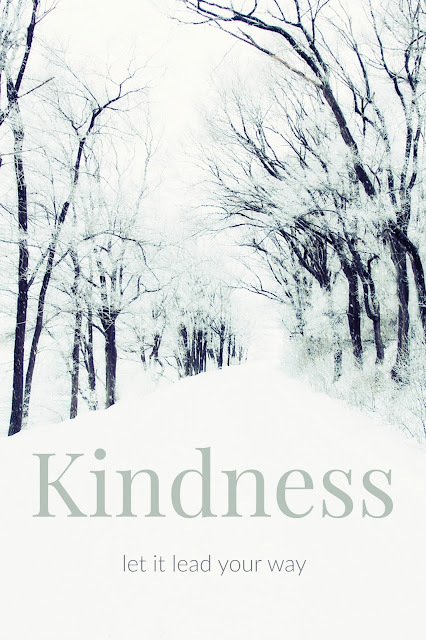 Sometimes we focus so hard on the negative in our world that we forget it is full of good, and sometimes you have to be the good that the world needs. 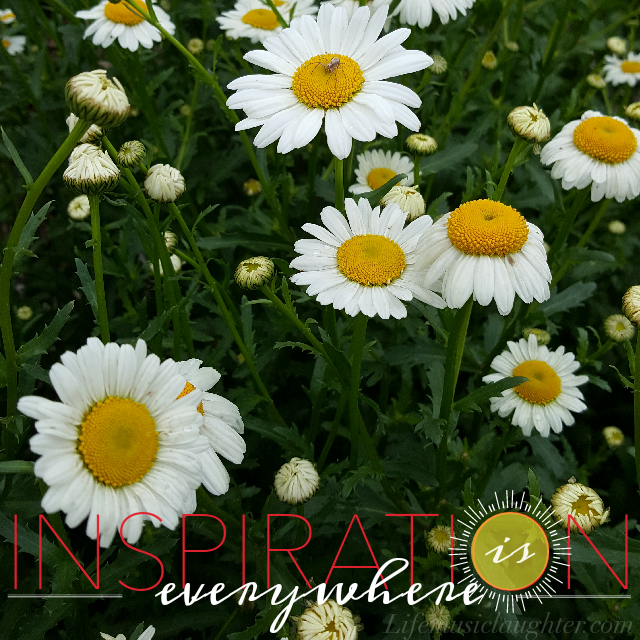 Look around there is inspiration everywhere. Here's some of the best songs of positivity that I'm listening to now. We spend a lot of time with our dogs outside in Summer. We do everything from trips to the park to road trips and just hanging by the pool. We know how important it is to keep dogs safe, and cared for in the hot dog days of summer. 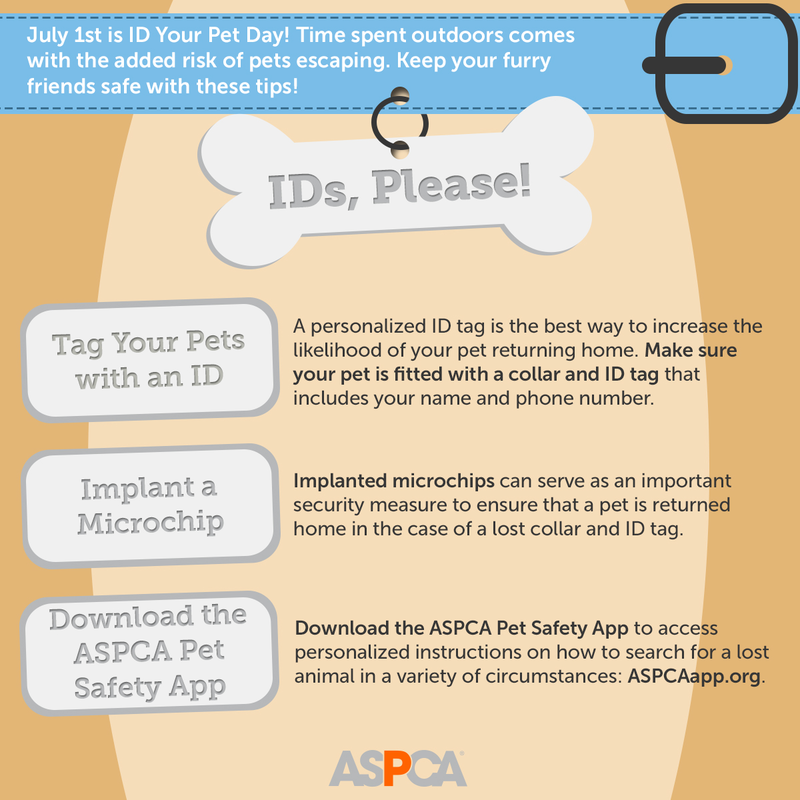 It is especially important to make sure your dog has a tag with an ID because with all the time spent outdoors in the summer, dogs are more likely to escape. The tag helps to make sure they are returned home. This is why the SPCA has designated July 1st as ID Your Pet Day. 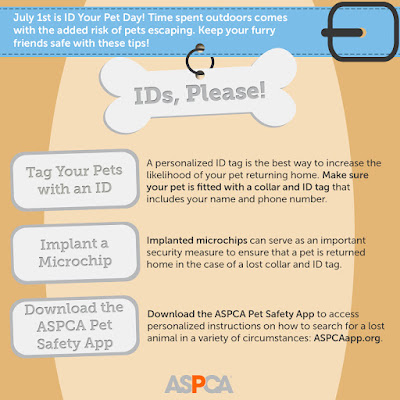 A personalized ID tag is the best way to increase the likelihood your pet returning home. Make sure your pet is fitted with a collar and ID tag that includes your name and phone number. Implanted microchips can serve as an important security measure to ensure that a pet is returned home in the case of a lost collar and ID tag. Download the ASPCA Pet Safety App to access personalized instructions on how to search for a lost animal in a variety of circumstances: ASPCAapp.org. If you're traveling with your pet this summer, find dog friendly hotels worldwide. Disclosure: This site uses affiliate links, which just means if you click on a link, we might make some money from the advertiser.